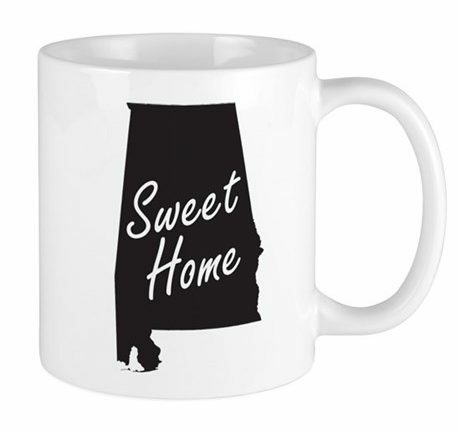 Sweet Home Alabama, by the time the morning coffee pot runs dry, it’ll be sweet home no more. 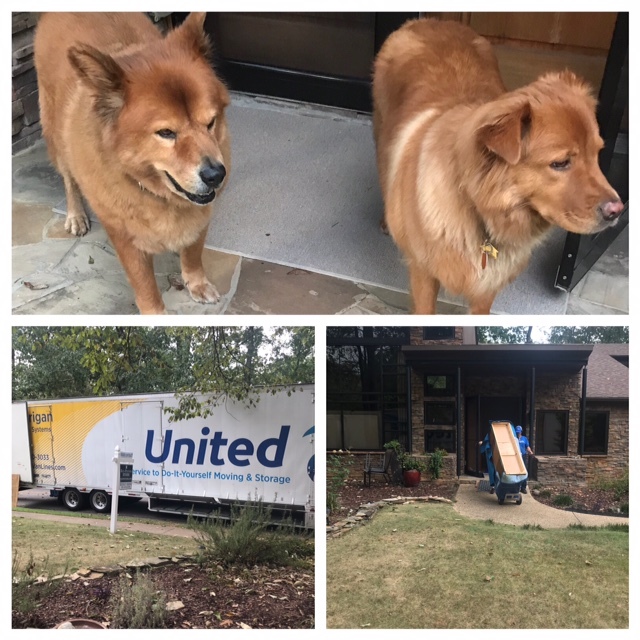 Birmingham, Alabama, where the United Van Lines truck pulls up and Ibis and Deuce confirm their suspicion that something was awry with all this talk about moving to the desert and how much they’ll love it. Sweet Home Alabama it’s been for Andi and me the last nineteen years, the longest I’ve lived anywhere. Birmingham, Alabama, where people talk funny but they think it’s me. Sweet Home Alabama, where there’s football and then real life. Birmingham, Alabama, after almost two decades here the memories make a kid born in New York City smile. Sweet Home Alabama where indeed, for most of our days, the sky has been so blue. Birmingham, Alabama, where the only pro sport is college football. Sweet Home Alabama, where every day we’re thankful we’re not Mississippi. Birmingham, Alabama, where Andi never met a stranger and I never met a neighbor. Sweet Home Alabama, where collard greens and grits compliment the meat and three lunch plates but I’ll stick with a knish and kugel, thank you. Birmingham, Alabama, where in a community full of honest, genuine and nice people you’ll never find a sweeter guy than Adam Cohen or belle than Libby Pryor. Sweet Home Alabama, where gentlemen still open doors for the ladies and “y’all, yes ma’am, no ma’am, yes sir, and no sir” are language staples, mandatory learning in the first grade. Birmingham, Alabama, where in the early 1940’s Delta Airlines wanted to move its headquarters but city leaders said no. Instead Atlanta became Atlanta. Sweet Home Alabama, where there are enough ex-governors, legislators and lobbyists in the federal pen to field one hell of a softball team and still have a deep bench. Birmigham, Alabama, where they luv the gov’nor. Boo, hoo, hoo. Sweet Home Alabama where at birth, right after you’re named, your parents must declare Auburn or Alabama on your certificate. Birmingham, Alabama, where even though there are Baptist churches on every corner, the 1,500 Jewish families never feel like a minority. Sweet Home Alabama, where with Rosh Hashana and Yom Kippur now ended, Judge Roy Moore, denying he is a racist, can continue his pursuit to try and find the ‘Jew attorney’ he’s friends with but can’t remember his name. Birmingham, Alabama, where fifty-five years ago last Sunday, Addie Mae Collins, Cynthia Wesley, Carole Robertson and Carol McNair were murdered in the 16th Street Baptist Church bombing. Today, racial harmony and the city’s impressive Civil Rights Museum is their legacy. Sweet Home Alabama who gave us George Wallace, Gomer Pyle and Forrest Gump. Shazam. Birmingham, Alabama, where Bear Bryant and Bull Connor are buried in the same cemetery. Bryant’s grave is a tourism attraction; Connor, the 1960’s City Commission of Public Safety who opposed integration with attack dogs and fire hoses, lies in an unmarked space. Sweet Home Alabama, who has produced the baddest heavyweight boxer on the planet— Deontay Wilder. Dee-On-Tay! Birmigham, Alabama, where the best deli is in Atlanta and if you are looking for good Chinese food head south to Christine Lee’s in Miami. Sweet Home Alabama, who gave Jeff Sessions to Saturday Night Live. Birmigham, Alabama, where you might not be able to find a deli or Chinese joint but the reigning 2018 James Beard Award winner for the Most Outstanding Restaurant in the country, Highlands Bar & Grill, is neatly tucked on a tree-lined street along the city’s southside. As good as the food is, and it’s good, the dining experience is even better. It’s worth a trip but good luck getting in if you don’t know Mat Whatley. Sweet Home Alabama, where there are four seasons: recruiting, spring practice, summer workouts and at long last, the regular season which normally ends with a January coronation. Birmingham, Alabama, where in 2009 I fell in love with a four-month-old male pup, my first ever pet. And a few years later because of Ibis, I was honored to be asked to serve on the Greater Birmingham Humane Society’s Board of Directors with some of the finest people this side of Mason-Dixon. And where last year Deuce joined the family. A ‘life changing event’ may be a bit trite in our daily jargon but this truly was for me. Sweet Home Alabama, where today we will pile into Andi’s Grand Cherokee and the four of us will begin a 1,834 mile adventure cross country to our new home in Summerlin, fifteen miles northwest of Las Vegas in the pretty Red Rock Canyon. Deuce will rest his chin on the open window the entire trip and take in the landscape. Ibis, in the back seat, will never lift up his head. Neither will be a problem. However, Andi will be whining every forty-five minutes that she needs to use the restroom. I figure by Little Rock that will be enough to have me boarding a Southwest flight. Or she will. The Jets have a better shot at the Super Bowl than we do at finishing this ride together. No matter what happens, It should be four solid days of Sunday Morning Coffee material. Birmingham, Alabama. Thank you. I’ll miss you. I do already. Sweet Home Alabama, where we did what we could do. I leave you with two words. Best wishes on your new home and new normal. I am sure Birmingham will welcome you back with open arms anytime! Love your posts and y’all. Safe travels. I won’t say “good-bye”, instead “have a nice trip”. Great list! Safe travels west. Bon voyage and safe travels, RB. (See? I do read your posts) Some day I’ll hear you call a hockey game! We will miss you here in the South! I enjoyed the brief times Sandy and I spent with you and Andi on the Crystal cruise and the Delta flight over 8 years ago. It is a small world that I had known your Aunt Robin since the 70’s before meeting you in 2010. Good luck with your next journey in life. Roy, One of your best posts ever, we are going to miss you being in Birmingham, and wish you and Andie the best out in the Vegas area. Keep “posting” and keep in touch. Terrific memories, great writing. New fan!